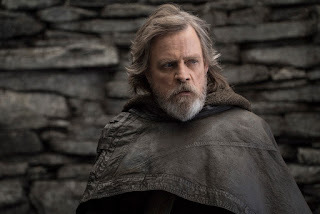 MANILA, Dec. 19, 2017 – The Philippines is one with The Force as Lucasfilm’s Star Wars: The Last Jedi grossed a staggering P145.2-M in its first five days of release, opening at No.1 for the Dec. 13-17 frame. Receiving some of the most glowing reviews in years, the Rian Johnson-directed tentpole was lauded by local critics and fans alike, with some even saying its the best Star Wars movie yet. The biggest box-office grosses were reported by SM Megamall (P7.1-M), SM Mall of Asia (P6.5-M) and SM North EDSA (P5.6-M). Trinoma leads the rest of the Top 10 with P4.9-M, followed by Greenbelt 3 (P4.5-M), Glorietta 4 (P4.3-M), Power Plant (P4.1-M), Bonifacio High Street (P3.59-M), Greenhills Promenade (P3.55-M) and SM Aura (P3.3-M). The Force is also strong with the Top 20 cinemas, led by Alabang Town Center (P3.2-M), Shang Cineplex (P3.1-M), U.P. Town Center (P3-M), SM Cebu (P2.6-M), Uptown Place (P2.5-M), SM Southmall (P2.3-M), Ayala Mall Cebu (P2.26-M), The 30th Mall (P2.24-M), Robinsons Magnolia (P2.1-M) and Robinsons Galleria (P2-M). In the US, Star Wars: The Last Jedi opened with a stellar $220 million weekend — the second-highest opening weekend of all time. With international grosses hitting $230 million, Star Wars: The Last Jedi totaled $450 million worldwide. Now playing in Philippine cinemas, Star Wars: The Last Jedi is distributed by the Walt Disney Company (Philippines).